PDF-XChange Viewer is a reliable and rich-feature PDF viewer that enables you to view and annotate PDF files. It's one of the most popular alternatives to Adobe´s Acrobat Reader, which with you can add text, sticky notes, and other annotations and save them to the file, which will be compatible with the standard Adobe PDF reader. This free PDF viewer download also allows users to try the extended functionality offered by the PDF-XChange Viewer 'PRO' in evaluation mode - for free. PDF-XChange Viewer offers many advanced features without compromising performance and quality. Also included are the very powerful PDF-XChange Shell Extensions and iFilter. The licensed PDF-XChange Viewer 'PRO', is a PDF creator in it's own right, allowing users to create PDF files directly from scanners, image files and can even take a .txt or a .rtf file and convert it to PDF or build your PDF document from scratch. The PDF-XChange Viewer is not designed to create new PDF files from 3rd party document formats such as MS Office, Internet Explorer etc. 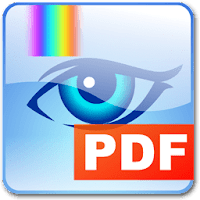 The program is designed to create PDF files only from images - or to scan new pages from your scanner - as well as View/Modify/Annotate etc - existing PDF files! Disclaimer: Direct downloads for the lastest version of PDF-XChange Viewer 2.5.322.6 are provided by the official software's author, we can't guarantee safety, availability or download speed. Moreover, we don't and we won't provide any pirated/illegal versions or tools. We recommend you to avoid it as these methods can harm your device. If you like the software, buy it to support the developers. (We provide software discounts for many worldwide brands).